I love you. Ahaahh!! xD . Wallpaper and background images in the The Legend of Zelda club tagged: the legend of zelda love link. i saw this on deviant art i was simply amazing! Twilight Princess Zelda is always way too serious. 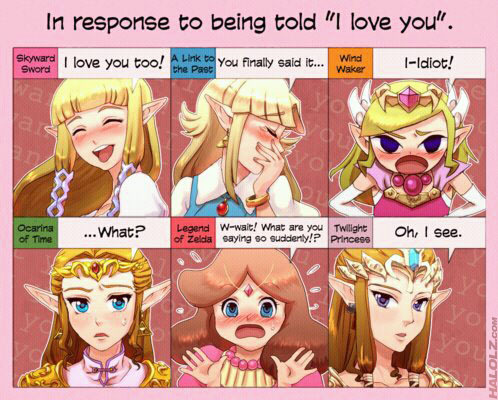 I can see how Twilight Princess Zelda is so non-responsive---she probably doesn't feel the same.Link knows her for such a short time in that game,while in most others,there was time to fall in love. Wow. Why is Zelda serious in Twilight Princess? Just saying.